If managed well, revenue from resources such as oil and gas in Tanzania and Mozambique, iron ore in Guinea, copper in Mongolia, gas and gold in Latin America, oil, gas, bauxite and gold in Central Asia, can contribute to sustainable development. When poorly handled they can present long-term challenges for governments, communities and the environment. The panelists included Marinke Van Riet, International Director, Publish What You Pay; Ombeni Sefue, Chief Secretary of Government, Tanzania; Samuel Walsh, Chief Executive Officer, Rio Tinto; and Tan Sri Nor Mohamed Yakcop, Deputy Chairman, Nasional Berhad, Malaysia. The session was moderated by renowned energy expert Daniel Yergin, Vice-Chairman, IHS, and bestselling author of The Quest: Energy, Security, and the Remaking of the Modern World. 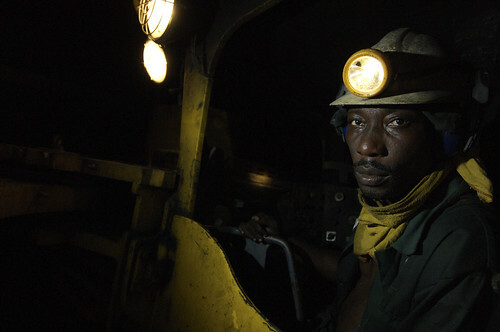 ​Back in 2004, Extractive Industries Review noted that “the overall framework of governance within which Extractives Industries (EI) development takes place will be a major determinant of its contribution to sustainable poverty reduction.” The expert panel called for World Bank Group to do more on governance and transparency of the sector. Over the past two decades, almost every developing country has adopted some form of public finance management (PFM) reform plan, with many currently pursuing second or third generation plans. Over the same period, development partners have provided substantial support – a total of over $20 billion since 2002. However, some countries have seen strong progress, while others have seen little, or have even experienced backsliding (see Graph 1 a and b).